Point and Shoot. 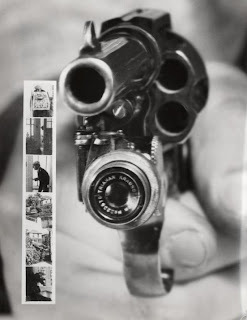 Not sure this camera idea would fly now, given the present day feelings and response to guns. This is a 1938 Revolver Camera. I have a "retro" camera lighter that always reminds me of Roman Holiday but a revolver?? ?